iPhone 8: Apple’s pricing strategy for its iPhones to be released in 2017 is predicted to be lower than previous versions and the rumoured high-end iPhone 8 with an OLED display is expected to cost upwards of $1,000, but a base 64GB model could start at $850 to $900 in the US. “This price point would be similar to Samsung’s new Galaxy S8, which starts at $840 to $850,” macrumors.com quoted Steven Milunovich, Analyst, financial services firm UBS, as saying. 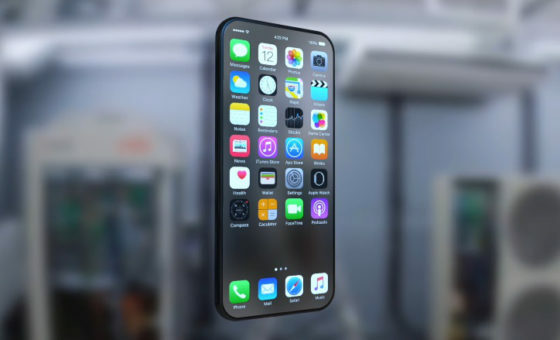 In addition to an edge-to-edge OLED display with narrow bezels, the iPhone 8 is expected to come with wireless charging, no physical Home button, and potentially 3D facial recognition and/or iris scanning. The upcoming phone are also rumoured to equip “True Color iPad Pro” screen technology for the first time. The screen technology uses advanced four-channel ambient light sensors to automatically adapt the colour and intensity of the display to match the light in your environment. Which means reading anywhere is more natural and comfortable – almost like looking at a sheet of paper.